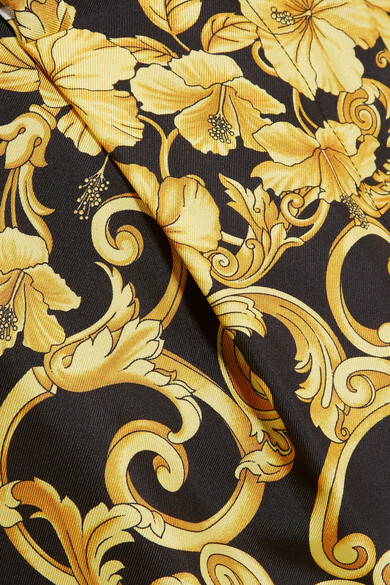 Versace's 'Barocco' print is instantly recognizable because Donatella has continued to use and develop them ever since Gianni's passing in 1997. Made in Italy, these shorts are cut from smooth, lightweight silk-crepe in black, gold and white and fit flatteringly high on the waist. Pair yours with the matching bustier for maximum impact.